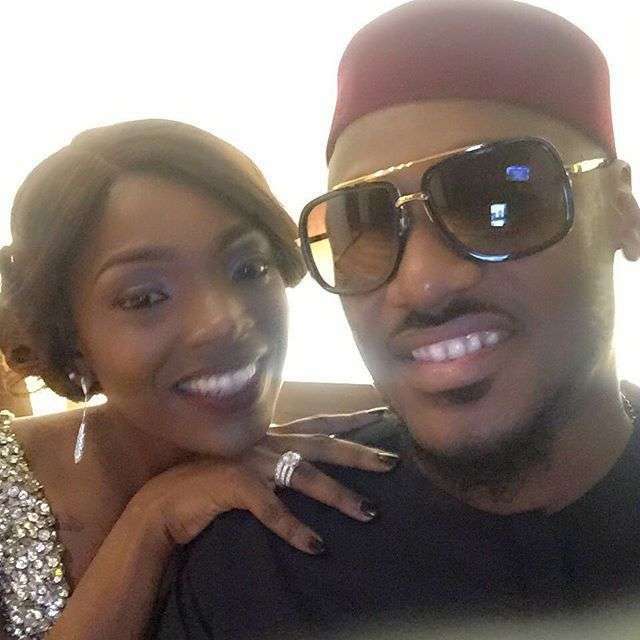 This has got to be the tweet of the day as 2Face Idibia apologises to his wife, Annie Idibia on Twitter. This might be the most searched tweet today in our celebrity world after 2Face Idibia sends an apology to wife, Annie. "I'm sorry to say that I have f**ked up so much. I have f**ked up as a role model as a father and as a husband. annie I'm sorry. I know u tried your best," he tweeted. Okay, guys, we wonder what 2Face Idibia has done to his wife as it is not clear yet. 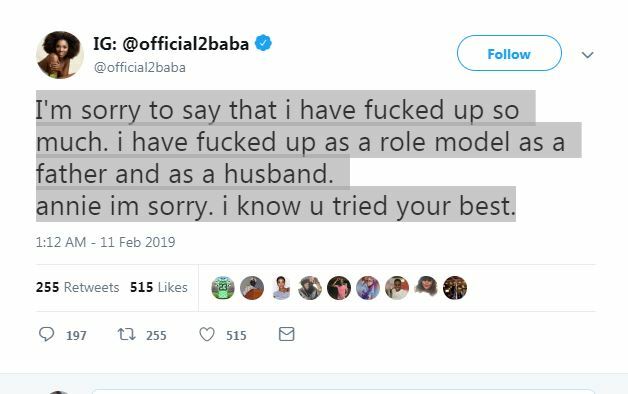 Apparently, 2Face Idibia wasn't done as he continued to tweet about his relationship with his wife and fans, even though this time around, it wasn't so clear what he was trying to say. It is not clear if there are cracks in his marriage or if this is just another stunt for a new song in the making, but trust PULSE to follow this story as it develops. This is the second celebrity couple story that has broken the Internet over the last 24 hours with a possible marriage crack. 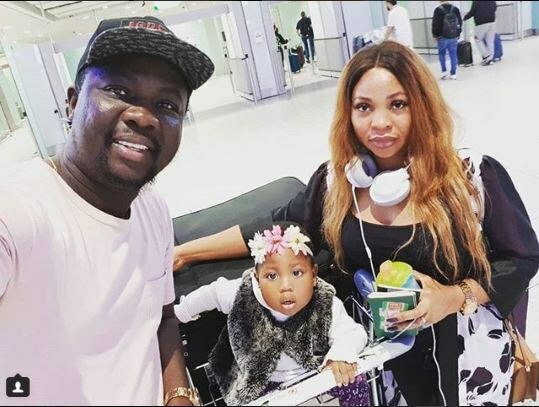 Recall that comedian, Seyi Law had shared a similar post on his page about ending things with his wife. However, he later came out to deny it. In the early hours of Sunday, February 10, 2019, he shared via his profile a confusing post that suggested that they have broken up. 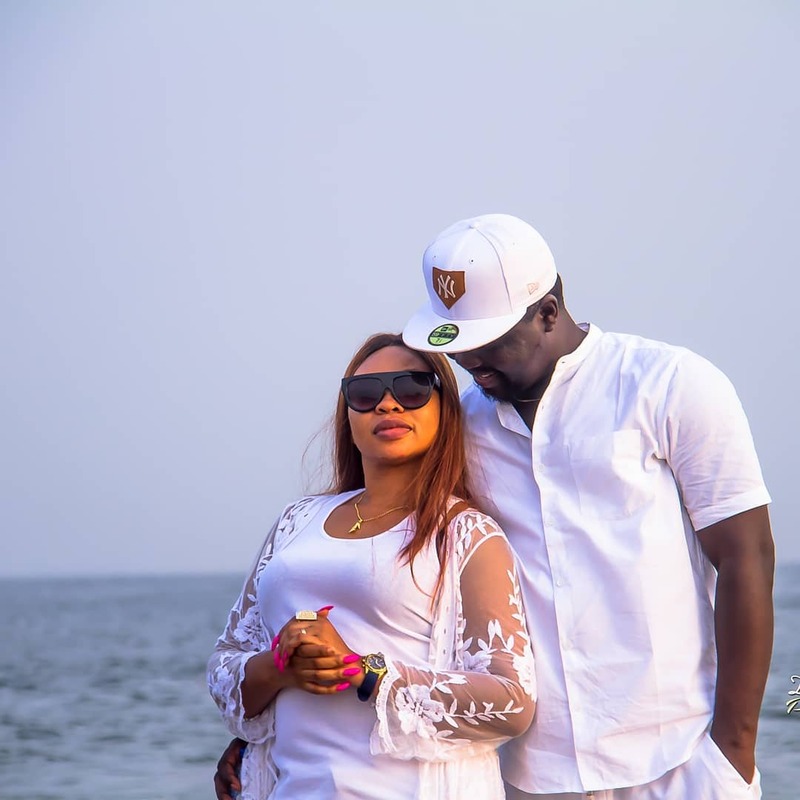 "I need to apologise to my wife who found the joke highly embarrassing and way out of line," Seyi Law expressed in the new post. Already on Twitter, the impact of the error is already manifesting.